The quest for highly efficient 5G wireless connectivity has been given a boost thanks to a collaboration between a team of 5G engineers from the Universities of Bristol and Lund, National Instruments (NI), and BT, one of the world's leading providers of communications services. 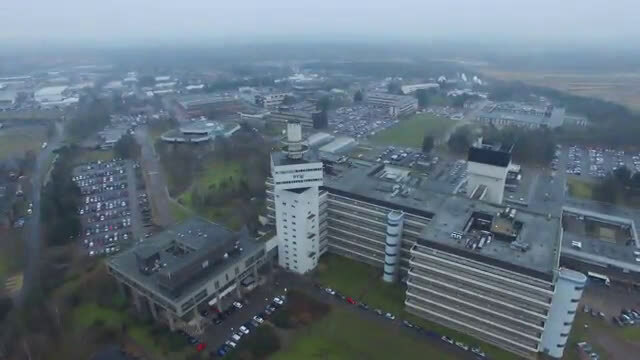 The research team has undertaken field trials of a massive MIMO system at the BT Labs in Adastral Park, Suffolk. The trials were conducted in a large indoor hall mimicking a stadium environment and outdoors within the Adastral Park campus. The goals were to test massive MIMO spatial multiplexing indoors and improve the understanding of massive MIMO radio channels under mobile conditions with untethered devices. While carrying out these field experiments, the team obtained promising results indicating that this technology could offer spectrum efficiency figures in excess of the 100 bits/s/Hz mark, improving upon the capacity of today's long term evolution (LTE) systems by ten times. It is expected that techniques such as massive MIMO, which offers full spatial multiplexing - where multiple data streams are transmitted at the same time and on the same radio channel - will become a crucial part of future 5G networks; the next generation of mobile technology. The research team, consisting of five PhD students from Bristol's EPSRC Centre for Doctoral Training in Communications and a researcher from Lund University, under the leadership of Professor Mark Beach, worked with the BT research team, led by Ian Mings, to assess the performance of a 128 element Massive MIMO system operating at 3.5 GHz at BT's Adastral Park campus. Initial experiments took place in BT's large exhibition hall and used 12 streams in a single 20MHz channel to show the real-time transmission and simultaneous reception of ten unique video streams, plus two other spatial channels demonstrating the full richness of spatial multiplexing supported by the system. Mark Beach, Professor of Radio Systems Engineering in the Department of Electrical and Electronic Engineering and Manager of the EPSRC CDT in Communications, explained: "We are delighted to be collaborating with BT. Massive MIMO is a key technology for 5G and the research team's achievements last year with massive MIMO arrays, which are cellular base stations with more than 100 antennas, demonstrates that this technology could deliver ultra-fast data rates to high densities of smartphones and tablets." Professor Tim Whitley, Managing Director, Research and Innovation at BT, added: "The BT Labs have a long history of pioneering wireless research, and with the acquisition of EE, we're excited to once again be at the forefront of mobile technology development. Massive MIMO has the potential to significantly boost available data rates in future 5G mobile networks, and we're pleased to be able to explore that potential with leading academics in the field at the University of Bristol." The experimental system uses the same flexible SDR platform from NI that leading wireless researchers in industry and academia are using to define 5G. To achieve accurate, real-time performance, the researchers took full advantage of the system's FPGAs using LabVIEW Communications System Design and the recently announced NI MIMO Application Framework. As lead users, both the Universities of Bristol and Lund worked closely with NI to implement, test and debug this framework prior to its product release. It now provides the ideal foundations for the rapid development, optimization and evaluation of algorithms and techniques for massive MIMO. 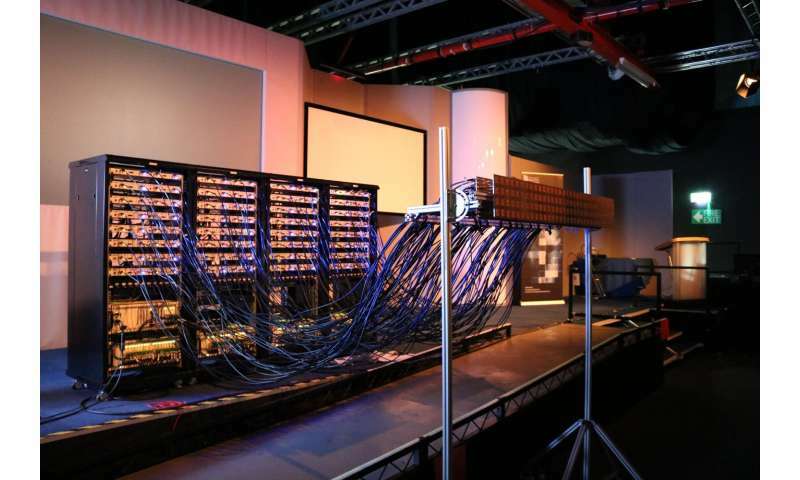 The state-of-the-art platform was made possible thanks to hardware provided by Bristol Is Open, a joint venture between the University and Bristol City Council that aims to make Bristol the first open programmable city in the world. Spectrum and power efficient wireless communications are core to Bristol University's Communication Systems and Networks (CSN) Group and the EPSRC Centre for Doctoral Training (CDT in Communications as well as to the Department of Electrical and Information Technology at Lund University. The researchers are now processing the data sets and aim to publish their findings in leading journals in the near future as well as adding enhancements to the system in preparation for further trials.